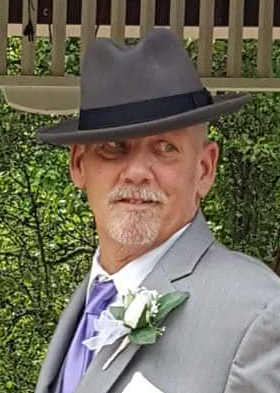 Eric W. Benz, 56, of Church St., Pascoag, died August 21, 2018 at home. Born in Providence, he was the son of the late Donald J. and Maryann (Vayo) Benz. Mr. Benz was an Air National Guardsman for thirty years and also worked for Electric Boat. Eric served as a counselor for Operation Purple Camp for several years. He enjoyed motorcycles and fixing cars, was an overall handyman and avid skier and loved spending time with his family. He is survived by his fiancé, Carole (Cousineau) Ferschke of Pascoag; his two children, Matthew Benz and Nicole Benz both of Woonsocket; his three siblings, Patricia Benz-Donahue of Lincoln, Chris Benz of Dutch John, UT and Judy Benz-Fanning of Woonsocket, as well as, several nieces and nephews. His funeral will be held Saturday, August 25, 2018 beginning with visitation at 2 PM, followed by a service at 5:30 PM in the Holt Funeral Home, 510 South Main St., Woonsocket. Burial will be private. Flowers will be accepted or memorial contributions may be made to the American Cancer Society, 931 Jefferson Blvd. #3004, Warwick, RI 02886.